Geosteering aids in determining the geologic structure of the formation. 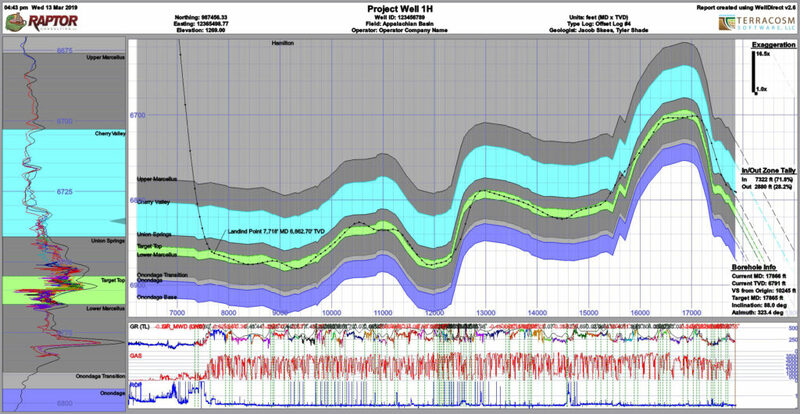 This information is important while drilling horizontal oil and gas wells to remain in the desired target zone. 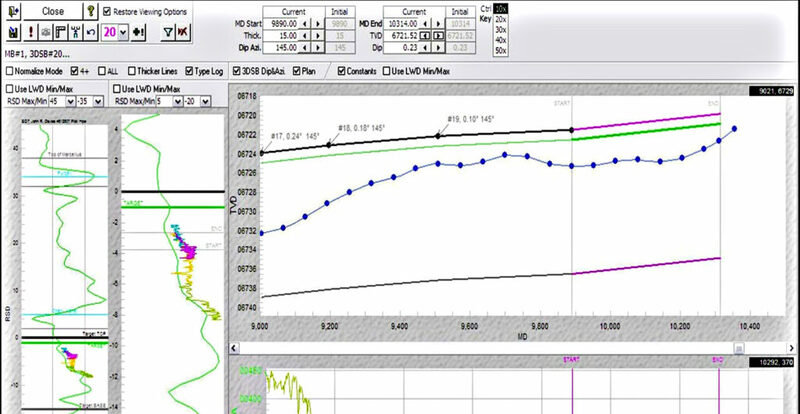 Geosteering is the correlation of real-time MWD gamma ray data to offset logs in order to calculate formation bed dip. 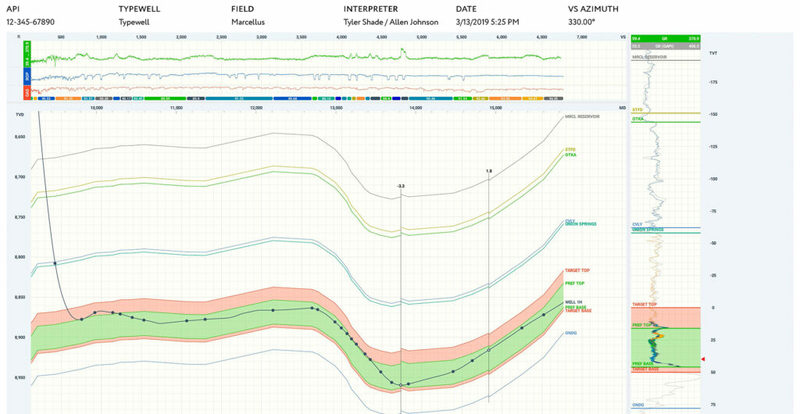 Other components of geosteering include stratigraphy of target interval, penetration rates, gas trends, and isopach thickness for a perfect landing within the desired target zone. Through mathematical calculation, specialized software, and experience, Raptor Consulting, Inc. can help your company maximize production while minimizing costs. 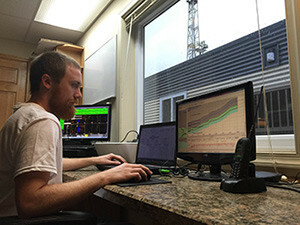 Raptor Consulting, Inc. uses a variety of software to perform its geosteering services, which include a traditional method of geosteering developed in-house, Terracosm’s software WellDirect, Stoner Engineering Software (SES) and Rogii StarSteer. For more information on the software, contact Raptor Consulting at (412) 221-4499. The key to drilling a successful well is communication. Onsite geosteering provides hands-on communication from the geologist on location to the operations geologist(s), directional drillers, and your company’s onsite representative. Raptor Consulting, Inc. offers two options for onsite geosteering: the first option is included with our well site geology service package, at no additional cost; the second option is onsite geosteering with no well site geology service, at a reduced cost. Raptor Consulting, Inc. offers an option for remote geosteering 24/7 days a week, nights and weekends. Our experienced employees have firsthand knowledge of drilling operations on location. Clients are provided a customized solution based on their individual requirements to meet their operational goals. 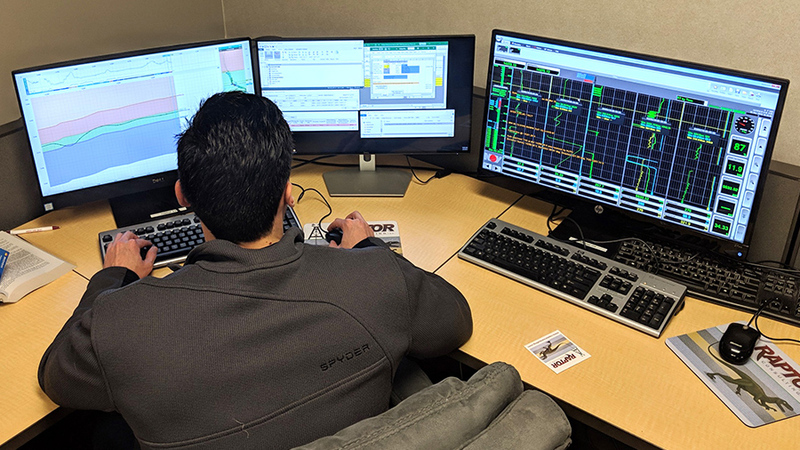 To ensure that our clients receive the best possible services, our remote geosteering service is conducted in a controlled and supervised environment at our geosteering operations center in Bridgeville, PA.